There is an abundance of both public and private (commercial) natural geothermal hot springs located throughout the state of California. Being the third largest state in the nation with over 163,000 square miles, California’s terrain is vast and sweeping. It is one of the most geographically diverse states from mountains and coastal ranges, valleys, rivers and lakes to the incredible Mojave desert and of course – natural hot springs. In order to assist with finding your favorite hot water soak, hot springs listings contain access information, pool conditions, hours, directions, maps, rates, facility information, ratings, pictures, video clips and more. Please use the map at the top of the homepage (this page) to find natural hot springs pools located throughout the state. *Hint* Use the “Hot Springs Near Me” button at any time to locate the soaks closest to your current location. Natural hot springs have been around since before the dawn of man. California is located within the Pacific Ring of Fire, which is comprised of a chain of volcanoes. This volcanic activity is where California’s hot springs were born. Throughout the world, hot springs have been utilized for their perceived medicinal benefits along with being centralized locations for religious rites and ceremonies. In the United States, Native Americans held hot springs as sacred places of neutrality, where warring tribes could come together and be at peace. As the States became more populated, many hot springs took a turn towards decadence and posh. Resorts and spas boomed for an era, offering the well to do somewhere to indulge in the rejuvenating pools, especially in the late 1800s. This fad was not to last. Hot springs resorts began to lose their luster and many were abandoned and left to ruin. Today, hot springs are still revered and sought after. From the rustic natural hot springs to the more commercialized, five-star resort, California brings the soak seeker whatever their heart desires. 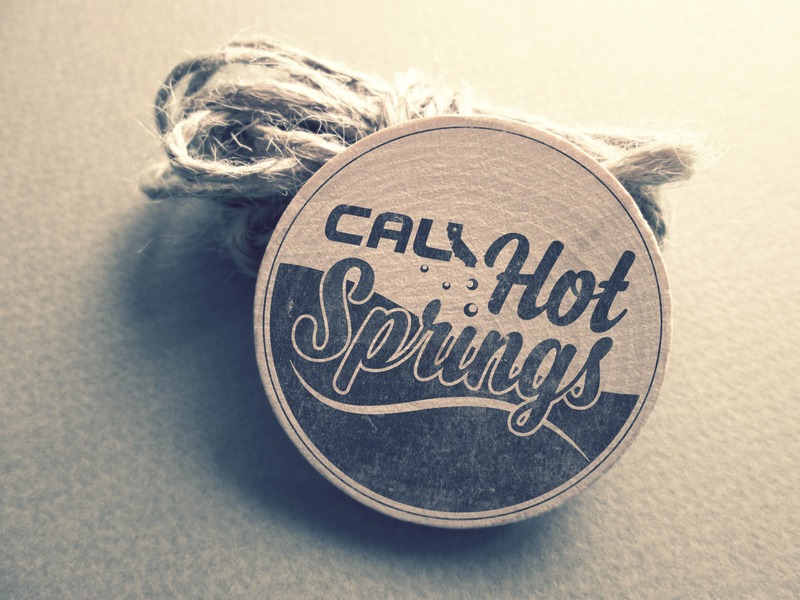 Why Are Hot Springs in California Hot? Natural hot springs in California occur primarily because of convection. Water heated from deep within the earth, usually due to volcanic activity of some sort, pushes its way through fractures and cracks in the rocks, gathering minerals along the way. Groundwater from rains aid in replacing the heated water around magma continuing the cycle. When the heated water breaches the ground’s surface, a hot spring is formed. Geothermal waters have given people a wide range of benefits throughout time. Apart from their medicinal and ceremonial uses, hot springs water is now being utilized for farming, particularly with greenhouses. Geothermal water is also being researched and adapted for a clean energy source to replace fossil fuels. This has some bit of controversy, as many do not want to deplete the naturally occurring hot spring water. Our favorite use, by far, is for soaking! Many hot springs are far from civilization; away from gas, water, cell phone service and roadside assistance. It is incredibly important to be prepared on all levels when traveling, especially to new places. First and foremost, know where you are going. Will you be able to refuel along the way, do you need to carry extra gas? Will your vehicle handle the roads you’ll be traveling? What shape is your spare tire in? If you are planning on camping, it’s a good idea to have a checklist of equipment you will need. Even if you are not planning on spending a night under the stars, being prepared for the what-ifs is always a good idea. Overall, visiting hot springs can be a very enjoyable experience. They can lift the soul and bring much-needed relaxation in this world of go go go. One does need to be aware of possible dangers that may exist. Heat. Yes, hot springs are hot. At their source temperatures can exceed 200 degrees. Commercial hot springs are regulated for safety, but natural geothermal pools are at the mercy of mother nature and manipulation of man. Using a thermometer to check the temperature is advised before jumping right in. Alcohol and soaking do not mix. Heat and alcohol both exponentially increase the risk of dehydration. Either one on their own can cause dizziness, heat exhaustion and unconsciousness. Combining the two is simply a recipe for trouble. Amoebae. While you will not typically find these at commercial pools, many natural soaks have the potential to carry them. The amoeba Naegleria fowleri enters the human host through mucous membranes via the nasal passages and can cause an infection similar to meningitis which is almost always lethal. This doesn’t mean you can’t enjoy these hot springs, just keep your head above water and keep it out of your mouth and nose. Dogs. Keep in mind, while tempting to bring Fido on your adventures, hot springs are not always the best place for them to visit. Often the water is too warm for our four-legged friends and can pose potential dangers of their own. Dogs do not have the common sense their human counterparts possess. It is important to be responsible while you are trying to have fun. Be respectful of fellow soakers, don’t indulge in alcohol, leave all glass containers at home and remember to pack it in and pack it out. Got an idea, correction, words of encouragement or missing hot springs? Have you recently visited a geothermal spring in California and want to share the experience? We would love to post your trip report and/or pictures to our blog! Contact us – we’d love to hear from you!